Occasional Emergencies refers to the idea of the occasional poem, a form I wanted to tackle after reading Dana Gioia’s essay, “Poetry and Business,” which irritated me so much I went on a Wikipedia and The Economist reading binge to write poems of public address on debt ceilings, derivatives, credit default swaps and mortgages. Gioia’s arguments were probably calculated to have that effect. Then, last July, I travelled to Portugal and through a few European capitals. The realities of poor employment and austerity measures were a sharp contrast with each countries’ national treasures and staggering cultural lodestones. When I returned to Toronto, I had stacks of gallery catalogues and pockets of spare change. And the table of the contents and a notebook draft of the first poem. I had written them in the reading room of the Biblioteca Nacional de Portugal on Campo Grande in Lisboa, while my friend Will edited a short story. Afterwards I bought fish fillets and coconut milk to make a Asian-style fish curry for my homestay hosts, which they would later eat in the courtyard at midnight, sitting and smoking on cushions and straw mats. Something of that looseness I wanted in the poems. Something of that Spanish hostel guest who cooked dulce de leche to sell to the workers in the park. Watching the young people sweep the cobblestones in Baixa-Chiado in the mornings, after each night of party-goers. Something too, of the Portuguese lady in my train berth who had lived in Paris for 20 years, who bought each of us an espresso and a pastel de nata on our arrival at the Santa Apolónia station in the humid morning. It didn’t occur to me, then, that this was a homecoming for her. I was too wrapped up in my own journey. Prompted by the fine work in Admission Requirements, I sought out Occasional Emergencies. To no avail. Thomas Fisher Rare Books library at the University of Toronto came to the rescue. I was lucky enough recently to indulge in reading this exquisite chapbook. I will forever carry with me the phrase “luck-trampled clover” and the image of the children collected like a deck of cards when the bell rings and the school yard becomes a “blank baize”. 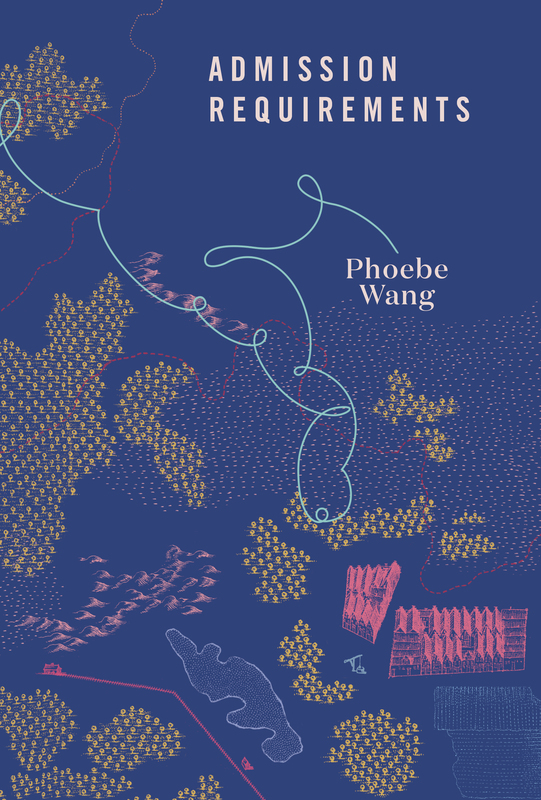 In another poem there is a description itself applicable to how Phoebe Wang’s poetry works: “We build so one of us / might levitate.” And that building is grounded in fine observation (a knack for detail and tone) and superb structures — all worth re-reading. Thanks.